A Tool for Patients to Bypass MACRA Rationing and Privacy Intrusion? Could the below HHS regulation be a potential tool to help patients do an end run around MACRA privacy intrusions and rationing guidelines? Medicare patients CAN refuse to authorize the filing of a Medicare claim and pay cash as outlined below. 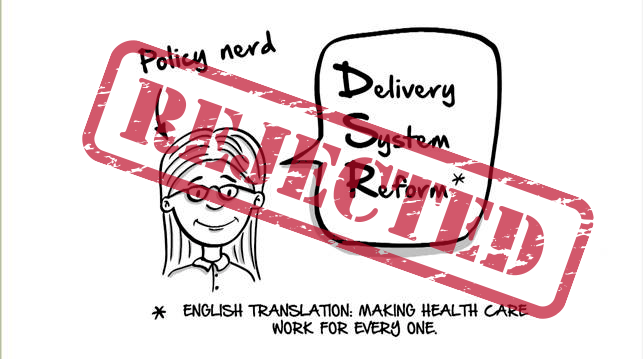 The CMS self-styled “innovation center policy nerds” think they are smarter than the free market at determining prices. They think they can create algorithms that somehow replace free market mechanisms to tie payment to value. The problem is that decades of Medicare payment policy developed by Medicare policy experts has resulted in one failure after another; flopped Medicare policies are actually responsible for divorcing payment from value. Why should we expect they are getting it right this time? MACRA violates sound economic principles. MACRA violates sound economic principles. It is a false premise (repeatedly stated) that MACRA decreases healthcare costs. Nobel prize winner Coase’s Transaction Cost Theorem states that transaction costs of time, money, and effort, which increase the effort to provide care, result in higher monetary costs. I liked this comment by a Doc Holliday “This will never work. It is doomed to failure. You are killing the goose. Is Government Practicing Medicine Without License?